Kin Lane a.k.a. API Evangelist advocates for standardizing the API portals presentation. Right now every API portal is different, there are no approved industry standards. 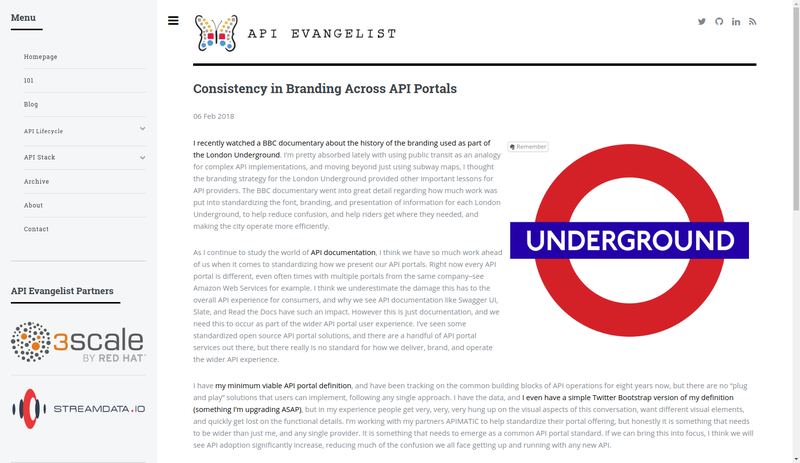 Read the article to learn more about API portals branding and its influence on users experience. One of the chief concerns of any data provider is how specifically to secure this data. 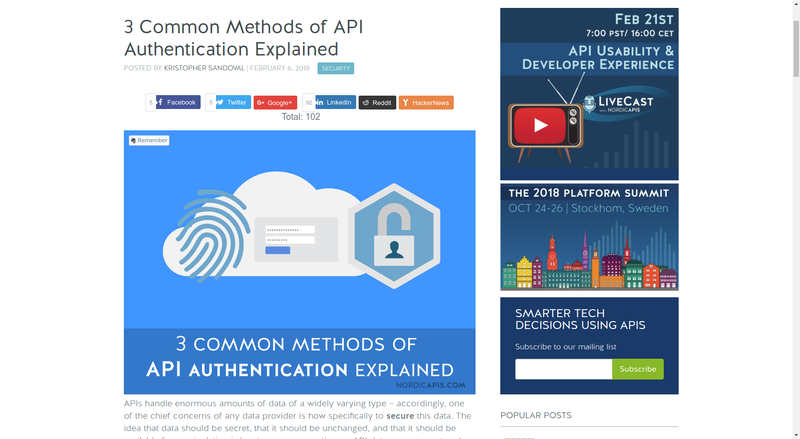 Kristopher Sandoval explains everything you wanted to know about API authentication but were afraid to ask. He highlights three major methods of adding security to an API — HTTP Basic Auth, API Keys, and OAuth, along with pros and cons of each approach and recommendations about the best way for most providers to leverage this power. Public cloud providers are trying to democratize machine learning which is making the technology accessible to developers. 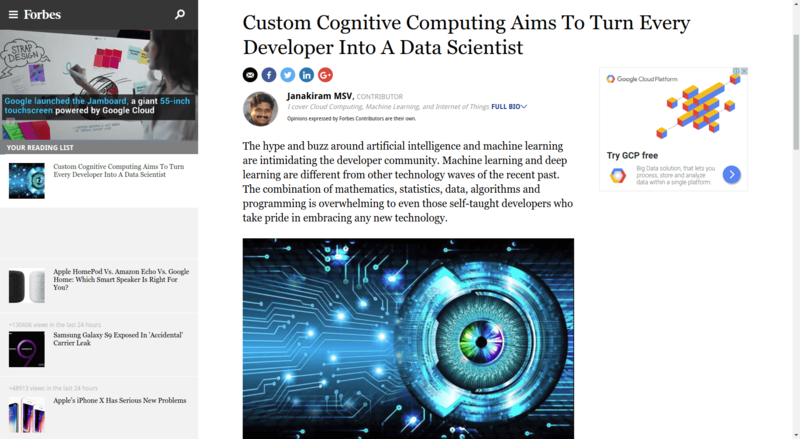 Janakiram MSV explains the buzz around custom cognitive computing in his highly engaging article. 4. 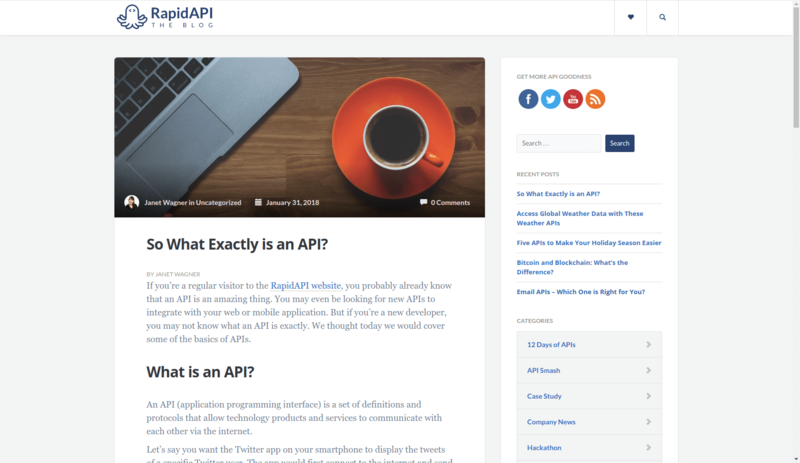 So What Exactly Is an API? If you happen to be an API novice and wondering what is this whole API Digest about, just read this article by Janet Wagner. 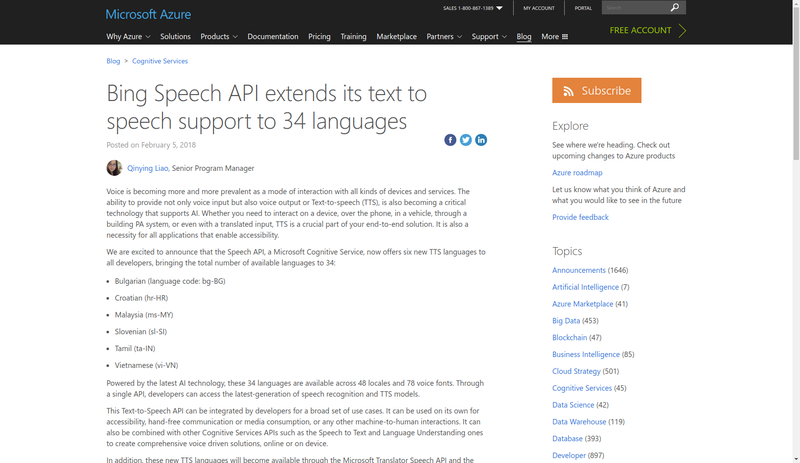 Microsoft Cognitive Services are a set of APIs, SDK, and services that can be used by developers to make their applications more intelligent and intuitive. These machine learning APIs enable developers to add such app features as emotion detection, facial, speech and vision recognition, and speech and language understanding. 6. API Security Concerns Are on the Rise. In an application-centric, cloud-native world, businesses have a heightened concern for cybersecurity risk related to API use. Tara Seals specifies that 63% of respondents in a recent survey said they are most worried about DDoS threats, bot attacks and authentication enforcement for APIs. If you are interested in getting the latest news in the API world, check our digest #87 and #86 as well as stay tuned for the new blog posts.